When it comes to Jersey Shore Family Vacation hunk Ronnie Magro, he and his baby mama who are now expecting their second child together FAKED their love in front of friends. Ronnie Magro tries to keep his problems private while attending functions, events, and Mike and Lauren’s wedding by masking it with smiles. 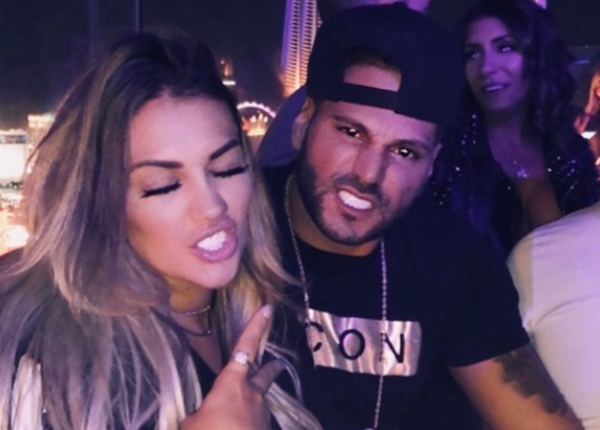 CelebNReality247.com reports that Ronnie Magro and Jen Harley seem to be a dysfunctional perfect couple because they continue to fight but stay together. To the outside world, Ronnie Magro and Jen Harley relationship look to be extremely toxic and unhealthy for the baby, but these two are like bread to butter. They can’t seem to separate for their own well being and continue to make the same mistakes over and over. The two of them seemed to be the perfect couple while at The Situation’s wedding.